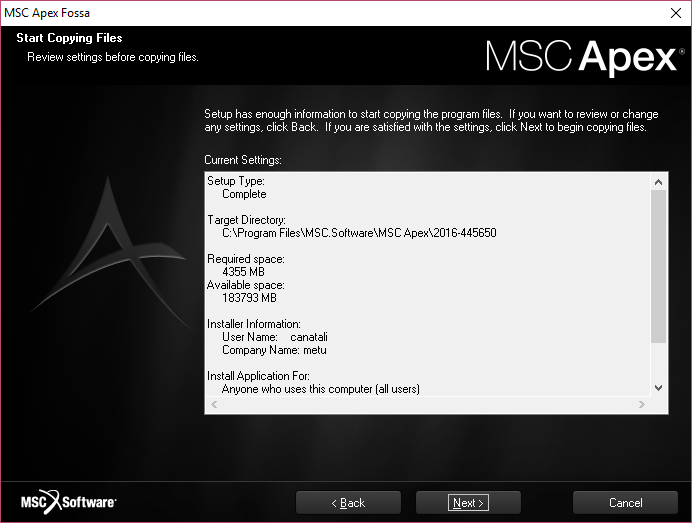 This software can be installed by running setup executable from installation media. Step 1: After starting setup program, select language and press "OK" button. 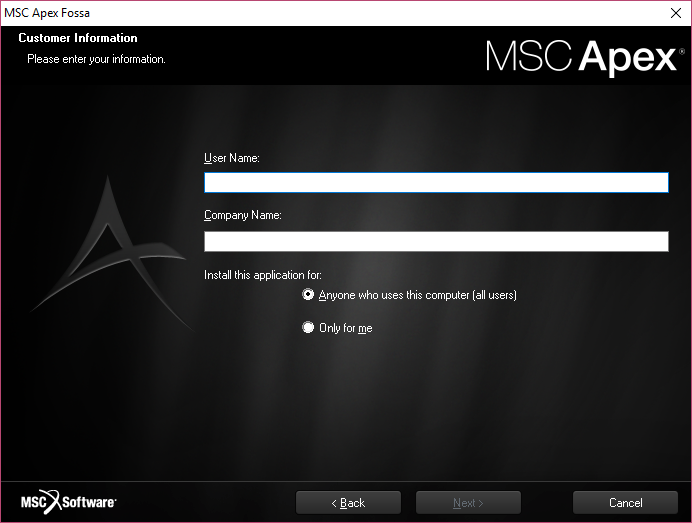 Step 3: Give user name and Company name information and click "Next". 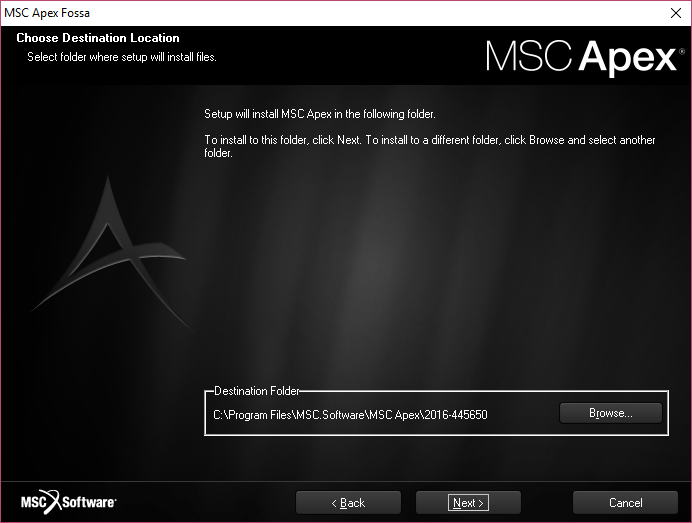 Step 4: Choose destination location and click "Next"
Step 5: Check summary of installation details and click "Next" to continue. 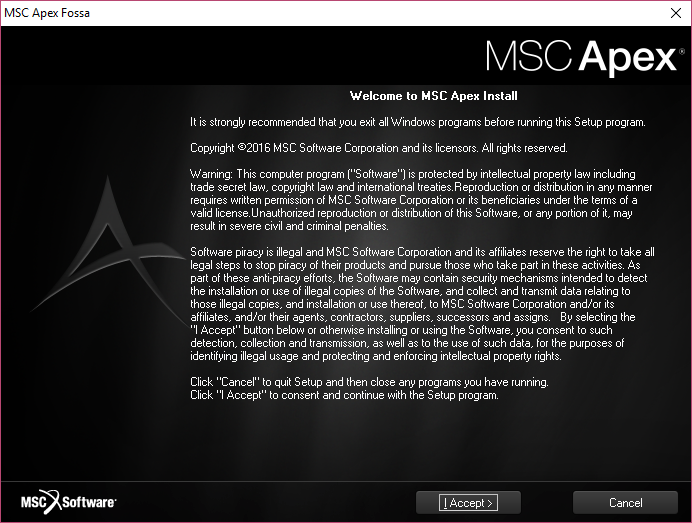 Step 6: At the end of installation enter License Server location and click "Next". 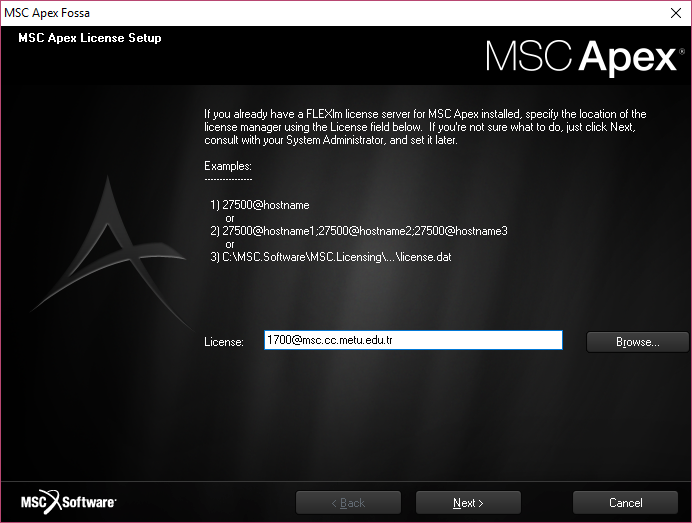 Use "1700@msc.cc.metu.edu.tr" as License Server. 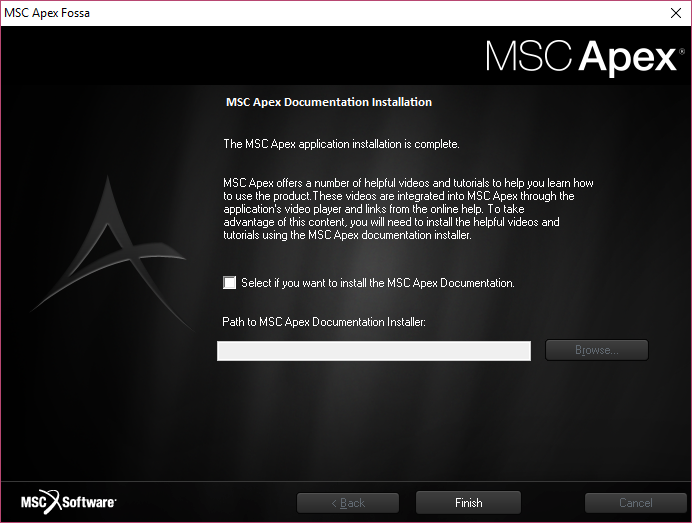 Step 7: Click "Finish" to complete installation.